After receiving a Sylff fellowship in 2005 at the University of Music and Performing Arts Vienna, where he studied orchestral conducting, chorus conducting, and piano, he was awarded the First Prize in the renowned Lovro von Matacic International Competition for Young Conductors in 2007. His career since has taken him to the most distinguished stages around the world. As a Sylff fellow, he has also participated in charity concerts with other fellows at the University of Music and Performing Arts Vienna. 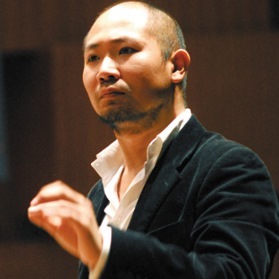 Besides his active performing schedule, Jimmy also devotes himself to music education, serving as artistic adviser to the Hong Kong Children’s Symphony and as tour leader and performer since 2011 of children’s opera productions of Kinderoper Papageno, seen by over 15,000 children in the German speaking world.